The Asian Pacific American Legal Center (APALC) and Tomas Rivera Policy Institute (TRPI) will discuss their newly released report that shows city and county government agencies are ill-prepared to serve Asian and Latino limited English speakers in a disaster. 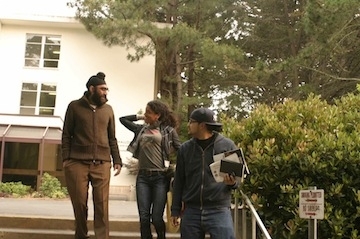 Three Kearny Street Workshop artists -- Sita Bhaumik, Samantha Chanse, and Hyphen's own Claire Light -- will present works in progress in fiction, theater/performance, and visual art. Tea, wine, (spiked) punch, cookies, and finger sandwiches will be served. All proceeds from the event benefit Kearny Street Workshop's programs educating, supporting, and presenting multidisciplinary arts. Attendees are encouraged to bring seat cushions and wear flowered hats. 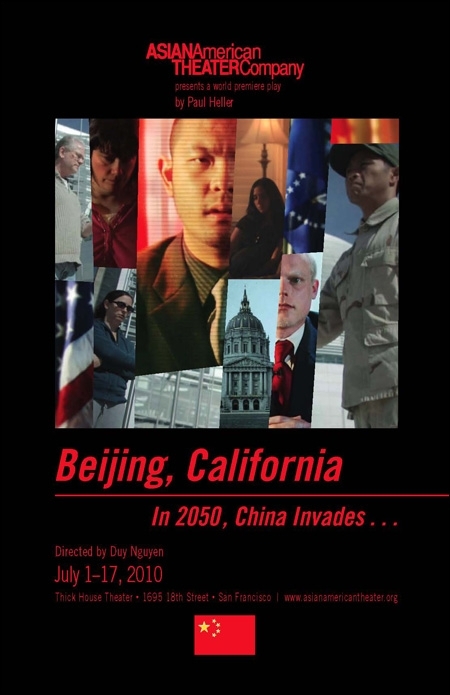 The Asian American Theater Company presents Beijing, California -- a futuristic play set in the year 2050, when China invades America after its financial collapse. Written by Paul Heller and directed by Duy Nguyen. Runs through July 17th. More info here. VONA, the only multi-genre workshop for writers of color in the nation, is hosting a faculty reading with Tananarive Due, Ruth Forman, Willlie Perdomo, Andrew X. Pham, Chris Abani, M. Evelina Galang, Elmaz Abinder, Diem Jones, and musician Len Wood. More info here. 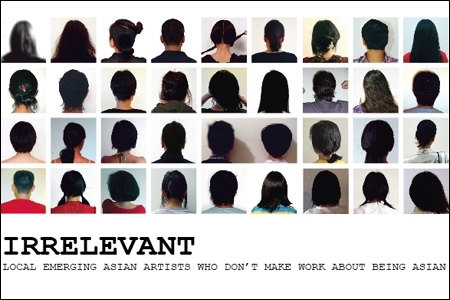 "Irrelevant: Local Emerging Asian Artists Who Don't Make Work About Being Asian" features nearly fifty artists based in New York "who are more American than Asian". With performances and workshops every Thursday. Exhibit runs through August 6th. More info and schedule here. This Filipino American theater festical will present original plays written by Palanca Award winners Eric Gamalinda, Jorshinelle Taleon-Sonza, and DCT Playwright Fellow Kristine M. Reyes. Limited engagement runs through July 25. More info and tickets here. Greetings from Pahole Sookkasikon: Mr. Hyphen 2009! Itsy Bitsy Shorts: LAAPFF for Kids!